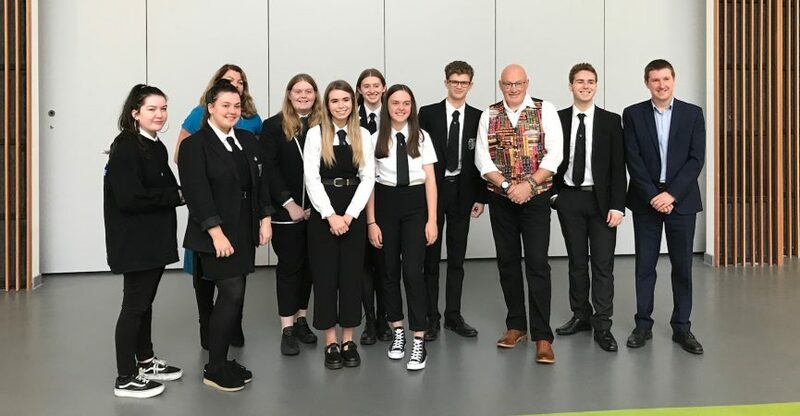 On Tuesday 21st of August 2018, Dundee’s first Founders4Schools event took place at Baldragon Academy. Founders4Schools in an online platform which enables educators to invite business leaders to interact with their students. It’s very quick and easy to use and allows pupils to learn valuable skills from people with experience. Teachers can customise events to the needs of their pupils, whether that is by changing the format of an event, or being able to pick and choose what type of business leaders would benefit you most. The event consisted of careers talks to motivate S6 pupils, encouraging them to think more about the world of work and learn more about different careers. There were three speakers: Phil Ingham – Co-founder at Brannie Ties, Shona Young – CEO at Nutscene and Steve Watt – Chief Information Officer, University of St Andrews. The pupils heard the career stories of all three, including their challenges and successes and was it was real eye opener in learning about the different paths available to forge a career. What did the Young People learn?